For those of you that are not familiar with the southern waters, when someone says they went dolphin fishing, they may also refer to it as fishing for Mahi Mahi (which is how you see it referred to most often on a menu), or dorado fishing. Now that I have cleared that up and know that I won’t have Green Peace sending me hate mail, I can pass along what I think is good information for anyone new to South Florida sport fishing, while also telling the tale of a great day out on the boat. We were heading out for a great day of Dolphin fishing off the coast of South Florida; more precisely, Boynton Beach. It was a relatively late start for us, and the sun was already heating up this fine summer morning as we finally pulled away from the gas dock around 8am. Normally, we would have been fishing by first light but a string of strange events caused a slight delay in our departure. On a good note, it allowed me to throw the cast net on a passing school of Pilchard which gave us enough live bait to use both as chum and as bait if needed. I enjoy trolling for Dolphin. It is the first type of offshore angling I had done as a boy with my little 20’ Aquasport. When Dolphin Fishing, we always like to have a wide assortment of both live and artificial baits, but I have also had just as much success trolling store bought ballyhoo rigged with a skirt. Our gear was all set as we made our way through the Boynton Beach inlet for this offshore Dolphin fishing experience. Ordinarily I fish a bit further South out of Haulover Cut in the North Miami Beach area, which is a much wider inlet and makes me feel a lot better when it’s a bit choppy! The plan was to get to the edge of the blue water and head southeast in hopes of finding some good patches of weeds or floating debris that hold Dolphin and other fish. It’s essential when Dolphin fishing to find clean blue water, although I have caught them in as little as 60 feet of water when targeting King Mackerel, but that is a unusual. 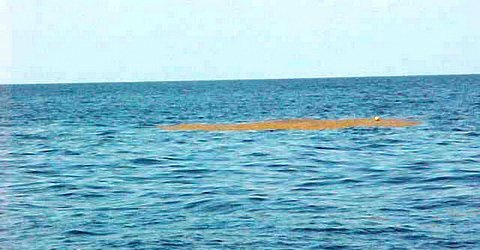 This usually occurs when a strong east wind blows the weed patches closer to shore and the fish chase in bait such as flying fish. 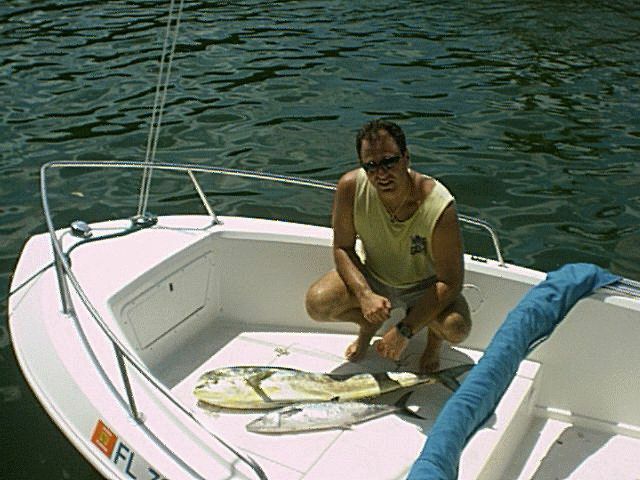 We are lucky in South Florida that the gulf stream comes very close to shore, (as little as a few miles in some spots), which makes it a short trip to the blue water when compared to those fishing further north. We use very common tackle for Dolphin Fishing; trolling rods in the 30 lb. 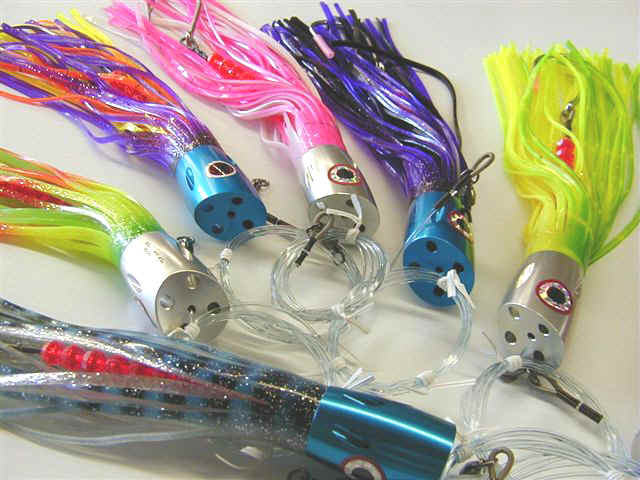 class should do fine, equipped with reels spooled using 25 – 30 lb test monofilament. I have been very happy using my Shimano TLD 20’s for this purpose. 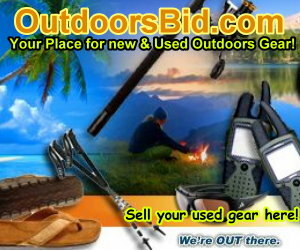 Bass Pro Shops, as well as Cabelas, sell a very nice combo that will serve this purpose well. The easiest way for a novice to begin dolphin fishing is to set up a rigged ballyhoo with a skirt. When Dolphin Fishing I have always like the Green with Yellow colors, but try other combinations such as black and purple as you never know what the fish are preferring, or what other species are lurking in the deep gulfstream waters. You should also bring along some spinning tackle of the same or lighter class, as you may have the opportunity to pitch some baits to a number of dolphin that occasionally follow their hooked school mates right up to the boat. By keeping a hooked fish in the water and tossing in some chunked pieces or live bait, you may keep them around the boat for some time. 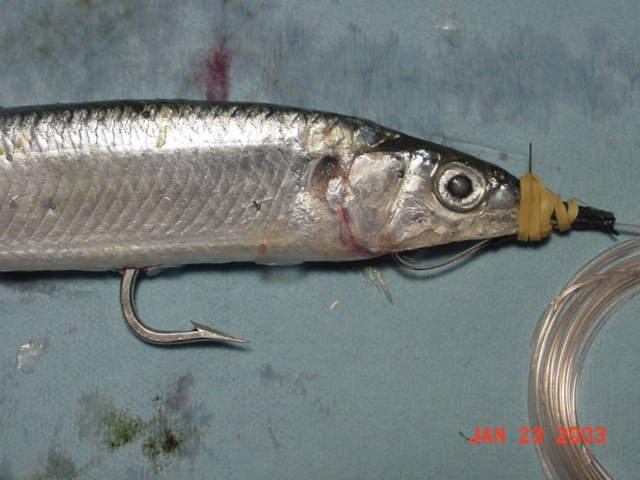 For rigging my trolling bait I will use between a 6/0 and 7/0 hook and pretty much the same but in a shorter shank, or a circle hook for pitching bait. Many people will use a wire leader when instead of a 50-70 lb. test leader as it is not uncommon to hook a Wahoo or large Barracuda when trolling for Dolphin. Trolling speeds can vary with sea condition and the types of baits used, but usually average about 4 to 7 knots. Make sure your baits are working properly and swimming naturally. Above all, keep checking them to ensure that they do not pick up any floating weeds along the way. 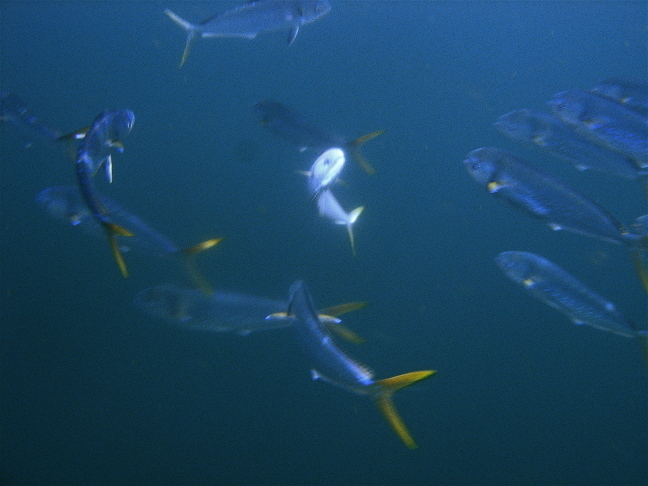 The baits should be swimming (not spinning) just under the surface or can be seen skipping on the surface. Just because you are Dolphin fishing doesn’t mean you can’t try for other species or use other methods to catch fish. On many occasions we have taken big Dolphin and Wahoo by using a down rigger to fish a bait deep. A rigged ballyhoo on a skirt with a wire leader is a great choice for this. This was a very hot day and due to our late start we were concerned that it was going to be a long one. The weed patches were scattered and we were on constant look out for any flotsam. We passed a large crate that held a few Tripletail and tried pitching a few live Pilchard in hopes that something may be lurking a bit further down the water column, but to no avail. A bit later we spotted a log floating in the water and made several passes and were lucky enough to pick up one Dolphin in the 8 lb range. Far from being a monster, but when you are fishing this far offshore, we knew he was coming home for dinner! If the weed patches and floating debris are not present it’s also a great idea to keep your eyes peeled for birds working the surface. We had just about given up for the day and the strong Gulf Stream currents had pushed us far north despite our Southerly initial course. I would like to take this opportunity to thank the folks at Delorme, as my handheld PN-90 GPS helped me to win a bet with my buddy on the correct heading back to Boynton Beach inlet. We were within sight of land but still fairly far offshore when I saw about 10 birds working a small piece of ocean. There was nothing floating but I could see flying fish taking off in all directions. We began trolling the edges of where the birds were and in no time all the rods were bent over with fish on! Dolphin fishing at its finest! Now that the majority of our day’s catch were brought to the boat within 10 minutes, we could head home triumphantly, so we rinsed the boat down and headed for home; another successful day for The Outdoors Guy and friends. 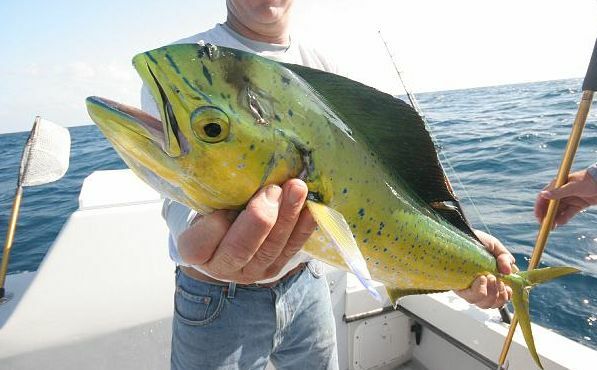 If you have the urge on a calm summer morning or afternoon to learn and enjoy offshore fishing, Dolphin fishing in South Florida is perhaps the easiest way to begin. The tackle is not significantly heavy or overly expensive and you may already have most of it from your inshore adventures. Just head out to where the waters turn a clear blue and begin trolling some baits. If there are fish in the area they are usually eager to take a properly trolled bait. Remember to be prepared for all eventualities when Dolphin fishing, keep an eye on the weather and you will be sure to have some great tales to tell when you get home. Fishing for Dolphin is definitely a great way to begin your offshore angling experience. I have a small boat and watch the big boys go offshore every weekend. I think I’m going to follow them to the blue water and give it shot. Its really not that much further than where I normally fish the deep reefs. I’m a new fisherman to south florida.and i have no idea what i’m doing. and because of your article, i now have half an idea what i’m doing. this article gave me every piece of info i’ve been looking for! Glad it helped! Let us know how you did!